There is no other occupation that truly reflects the saying, "Our employees are the heartbeat of this organization!" There is no other occupation that truly reflects the saying, “Our employees are the heartbeat of this organization!” than that of a Symphony Caregiver. Symphony Senior Home Care seeks out caregiver candidate’s that exhibit the same dedication and passion that keeps senior living safely and comfortably in the surrounding of their own home, as reflected by its management team. Before matching skilled, knowledgeable, and compassionate caregiver’s with each client, our process starts with a thorough criminal background screening, social security verification, and personal and professional reference checks. Symphony Senior Home Care is committed to accurately matching each client with one of our highly trained caregiver’s. Utilizing in depth, multi-leveled personal interest survey for each caregiver into our ongoing training program, we can profile the strengths and interests of every caregiver. Then, we incorporate pertinent information based on our Client Personal Interests, and Activities Survey. And only then, do we start the process of matching personal interests, the medical and physical skills of our caregiver’s with the needs of each client. Can Symphony caregivers provide medical support? Symphony Senior Home Care is one of the few organizations in the Twin Cities that offer health care services by registered nurses and certified nursing assistants including medication set-ups, senior living assistance, personal cares, rehab and other medical services. Are your caregivers Symphony employees? Yes. Every Symphony Senior Home Care caregiver is an employee of Symphony, not an independent contractor. Do you perform background checks on Symphony caregiver candidates? Yes. We perform a criminal background check on every employee of Symphony Senior Home Care, as well as social security verification, and review of personal and professional references. Yes. Each caregiver is fully covered with general liability, workers compensation insurance and additional driving insurance, and registered/licensed under the Symphony Senior Home Care name with the Minnesota Department of Health. Symphony Senior Home Care complies with all Minnesota licensing requirements, so you can feel confident that our caregivers are properly credentialed. 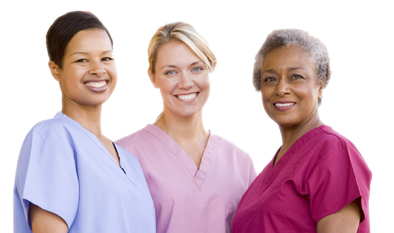 Depending on the type of services you receive, our caregivers are registered nurses (RNs) or certified nursing assistants (CNAs). We also provide ongoing training to our caregivers on a variety of topics such as preventing falls, understanding dementia and Alzheimer’s disease, and the aging process. What happens if my caregiver is sick or needs time off? We have a constant supply of qualified, skilled, and compassionate caregivers ready to step-in and continue care in case of any sickness, emergency, or any other scheduled time off on the part of your regular scheduled caregiver. If I’m not living in my own home, can I still utilize your services? Yes! Symphony Senior Home Care works with many area assisted, senior living assistance, and independent living campuses throughout the Twin Cities. We offer a wide range of companionship and skilled nursing services designed to complement services offerings by each facility. Where can you provide services? Symphony Senior Home Care provides professional in-home health care services in residential homes, apartments, townhomes, independent living buildings, assisted living facilities and long-term care facilities. How do I begin services with Symphony Senior Home Care? To begin services with Symphony Senior Home Care call to schedule a complimentary in-home meeting with you and your loved one to discuss daily needs and requests. Next, we complete our assessment and work with you to determine the services that are needed and answer any questions you have. Then we create individualizes care plan specifically designed to meet your needs and requests. If your needs require skilled nursing services, we work with you, and your physician to craft the appropriate care plan. Then, set a date to get started! Our rates are determined by the types of services you receive and the number of hours of care. Please call us to discuss costs and schedule a complimentary in-home consultation. I only need someone to come out once a week, is this possible with Symphony Senior Home Care? Yes, we can provide a one-time service or on-going services which require three hours per week on a continuous basis. Symphony Senior Home Care can provide care up to 24 hour home health care. What locations in the Twin Cities do you serve? Symphony Senior Home Care is located in White Bear Lake, and provides in-home health care in Minnesota: St. Paul, Minneapolis and surrounding suburbs including: Mendota Heights, Inver Grove Heights, Eagan, Burnsville, Apple Valley, North Oaks, Roseville, Arden Hills, Vadnais Heights, Maplewood, Oakdale, Lake Elmo, Woodbury, Stillwater, Wayzata, Minnetonka, Hopkins, Bloomington, St. Louis Park. After services begin, what type of follow-up is done? Symphony Senior Home Care offers an initial follow-up two weeks after services have begun. During the course of service, regular phone calls or email check-ins are done with the client and family, approximately every two weeks. Supervisory visits are also made by one of our senior management staff members or a registered nurses, at no charge to you!